I know you found the headline of this article interesting and it is very interesting to know that the human urine can be used as fertilizer. At the just concluded African CleanUp Conference that held in Cape coast Ghana, Dr Bryant a lecturer at the Univeristy of Cape Coast said “Urine is very safe, hygienic, easy to handle and collect and easily available. 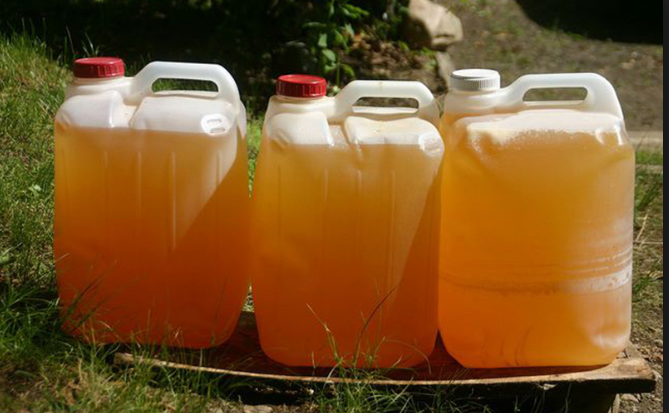 The human urine can be used in the cultivation of crops such as Okra, Maize, pepper and tomato, Vegetables etc. But in this article a brief analysis was carried out to see how urine can be used as a fertilizer, its application and the precautions you should take. The human urine contains high level of nitrogen, phosphorus and potassium. This simply means your urine typically has an N-P-K ratio around 11 – 1 – 2.5, similar to commercial fertilizers. Studies conducted in Sweden (Sundberg, 1995; Drangert, 1997) show that an adult’s urine contains enough nutrients to fertilize 50-100% of the crops needed to feed one adult. So, there you have it human urine has some good and useful nutrient. Can you now see that we are missing out on a whole lot? well let us go on. If you have decided to make use of urine as a fertilizer then you have to pay proper attention on what I am about to tell you on this article. If you wish to use urine for a garden, then you have to make use of 2:8 formula. This means if you intend to make use of one litre of urine, you need to mix it with 8 litres of water. Do note that the human urine fresh is free from all micro organisms so it is best you apply it around the soil where you have the plants. Ensure you do not sprinkle urine on the plant leaf as it may burn the leafs. Also, applying excess urine could pose as threat to your plants because excess nitrogen causes rapid growth of weeds and this would lead to low fruit production. According to agropreneurng, Urine can be applied directly to the compost pile. As it’s very high in nitrogen, it should be added to plenty of carbon-rich materials, like dry leaves, sawdust, straw, and cardboard. Urine can act as a starter for compost, encouraging the decomposition process. Please note that the human feces are not fertilizers, so ensure you are using pure urine. Do not apply urine of humans with UTIs (infections) to your crops. However, it is imperative to note that every country has its regulatory policy as to whether urine can be used as fertilizer for commercial purpose. But it has been largely found to be safe as it is sterile and can be stored for month to reduce pathogen risk. You can read more on the risks and guideline for usage in this World Bank Report.